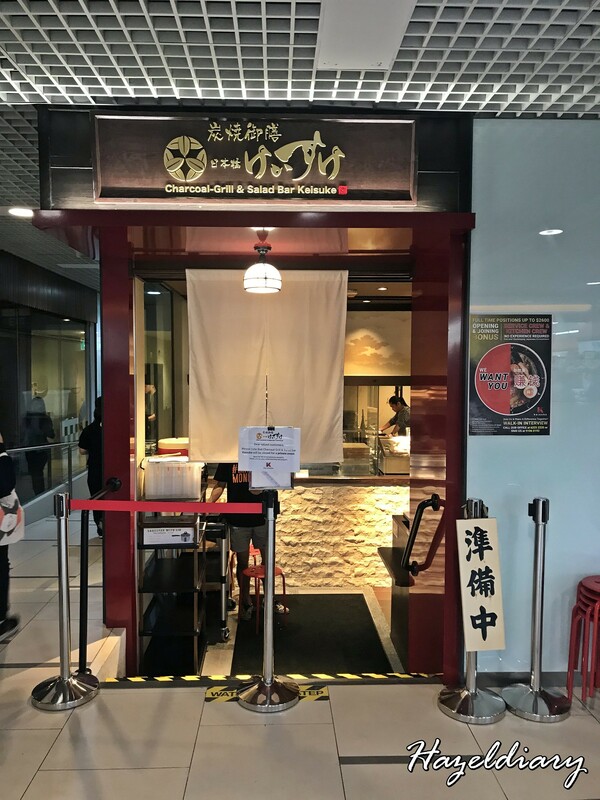 Keisuke Group’s 19th outlet will be officially opening on 1st April 2019 at Paya Lebar Square. 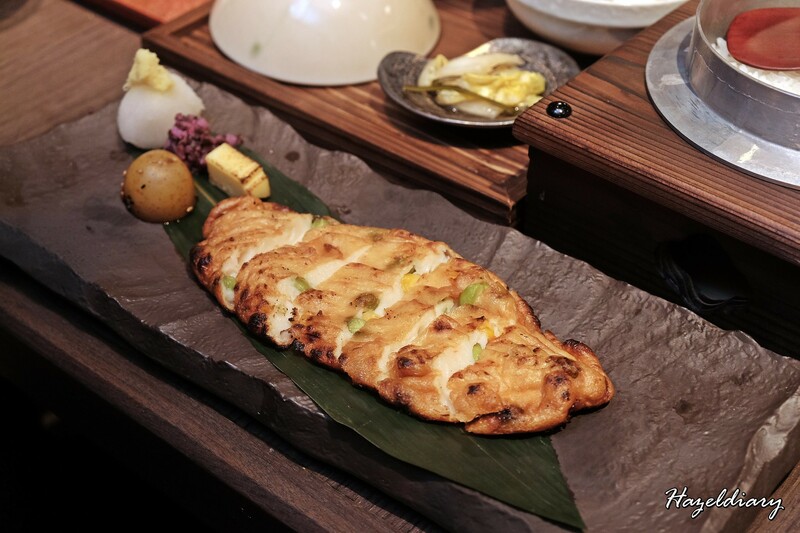 The latest food concept offers sumiyaki (charcoal-grilled) in which food items are slow grilled over hot charcoal. And they use bincho-tan imported from Japan, which is known for its natural purification and neutralises the harmful acid that may occur during cooking. 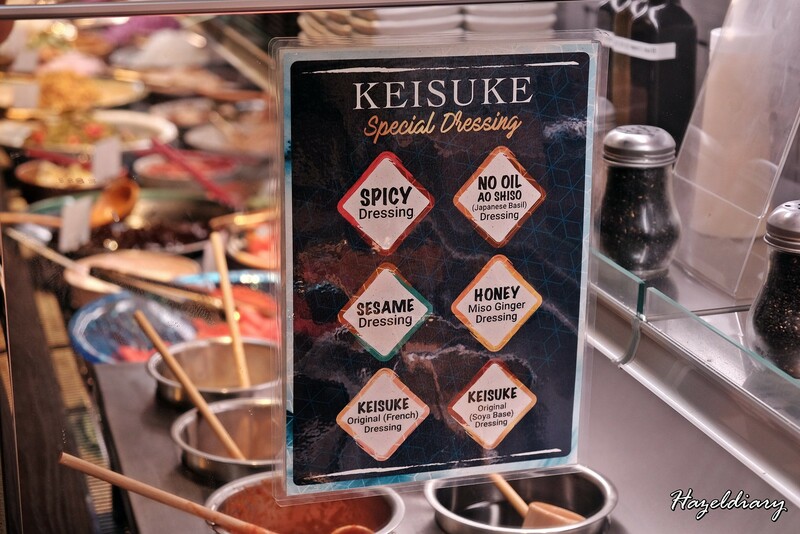 The Charcoal Grill & Salad Bar Keisuke is located at Basement 1, opposite Giant supermarket. 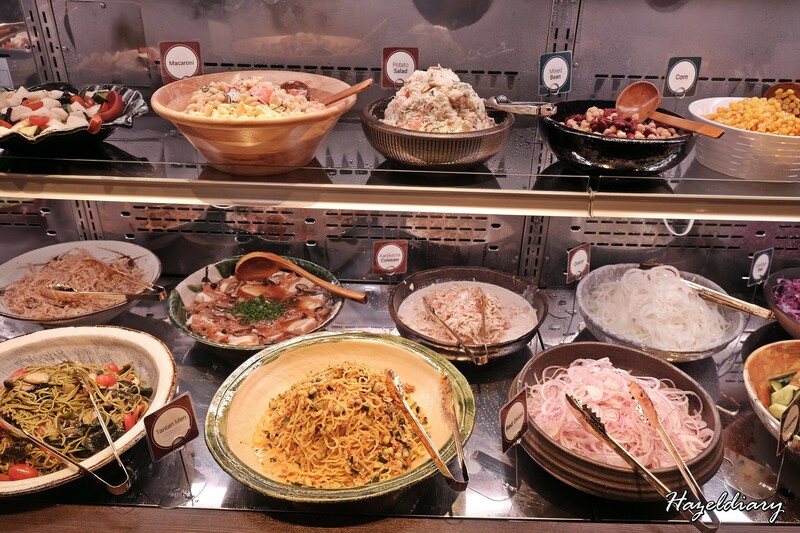 Diners can expect Japanese Gozen (set meal),which comes with traditional Japanese rice cooked in a small iron pot, miso soup and onsen egg and FREE flow salad bar with more than 30 types of sides. 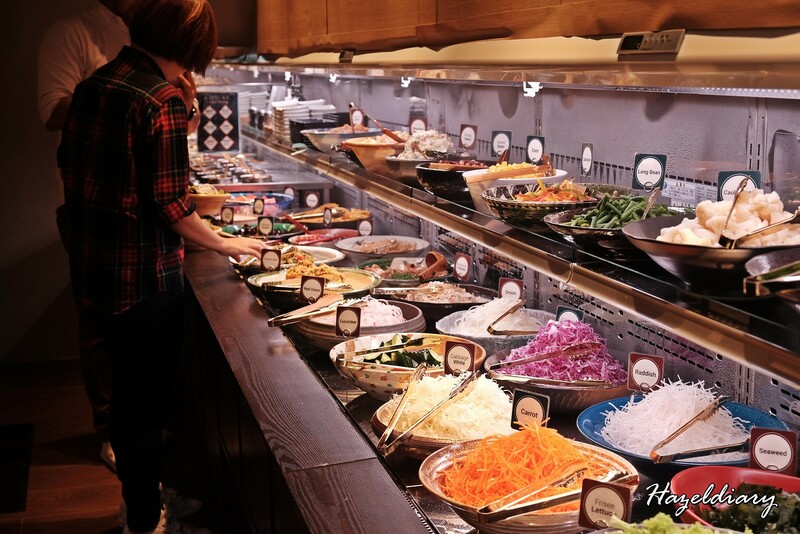 The salad bar consists of fresh vegetables, Kanikama coleslaw, marinated beansprout, cold tofu, fruits, potato salad, coffee jelly and many more. 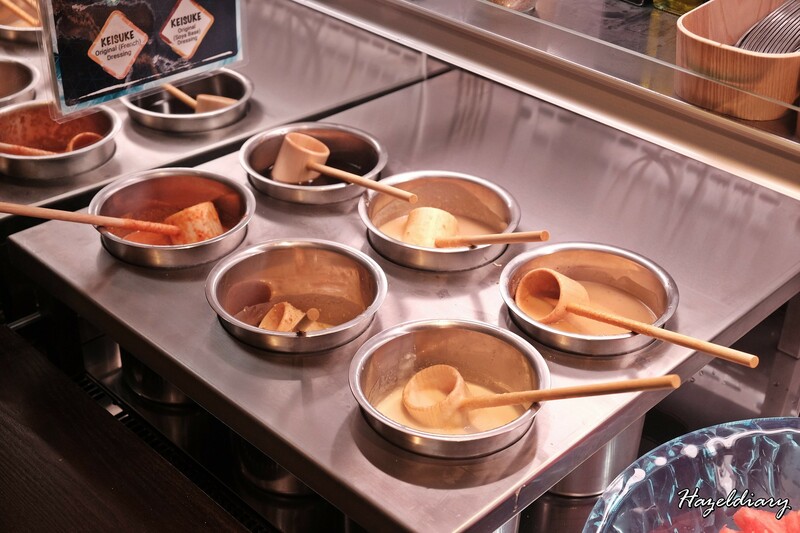 Six different dressings are available at both sides of the bar for diners to choose from. 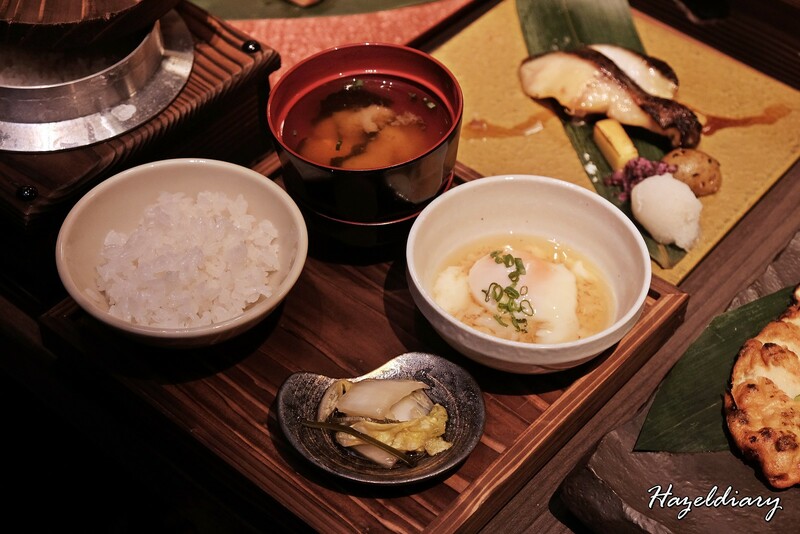 The Japanese Gozen was served first while we waited patiently for our charcoal grilled items to arrive. 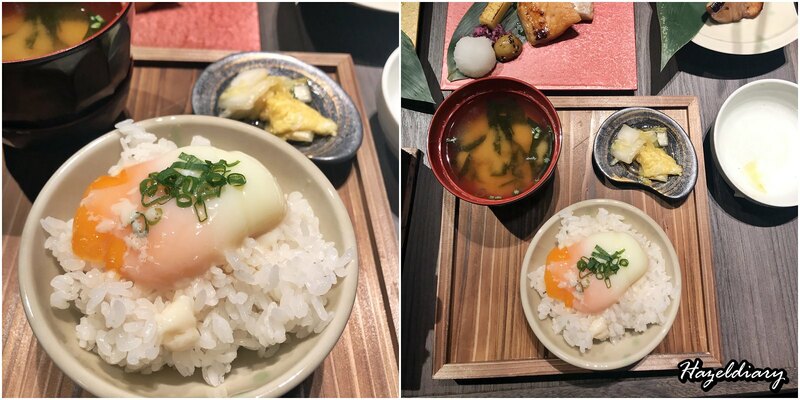 We were told to pour onsen egg into Japanese rice and give a good mix to enjoy it with the dishes. It was the right decision! Love the Japanese short grain rice coated with egg! 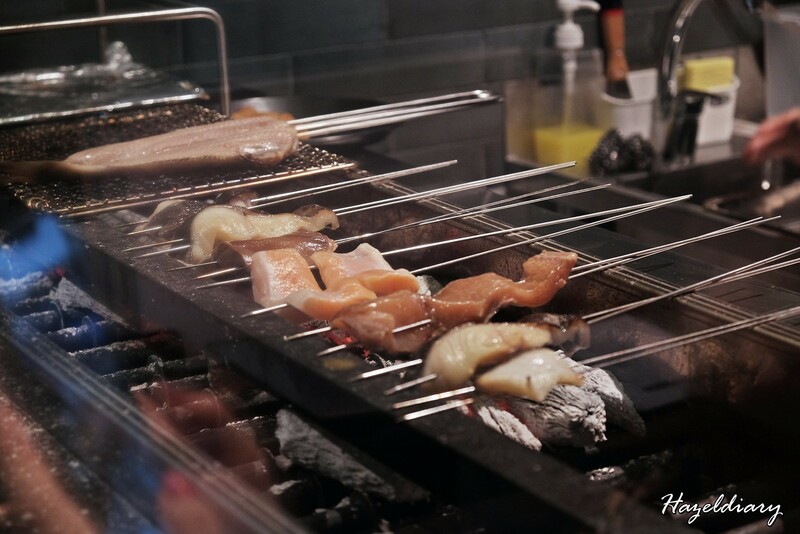 So for the mains, we ordered Charcoal Grilled Miso Marinated Black Cod S$21.90++ , Charcoal Grilled Salmon Belly Set S$16.90++,Charcoal Grilled Homemade Fish Cake Set S$10.90++ and Charcoal Grilled Teriyaki Yellowtail Set S$21.900++. 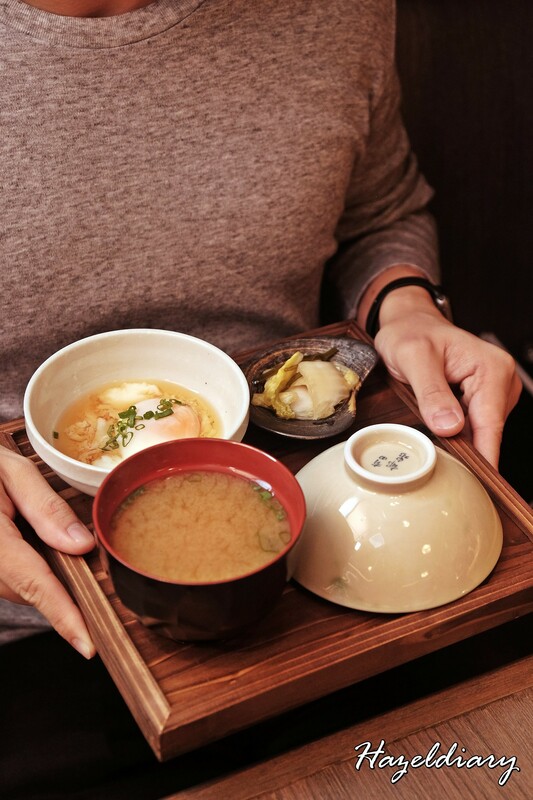 Each platter is served with a half baby potato, a small oblong of grilled cheese, pickles and grated radish. 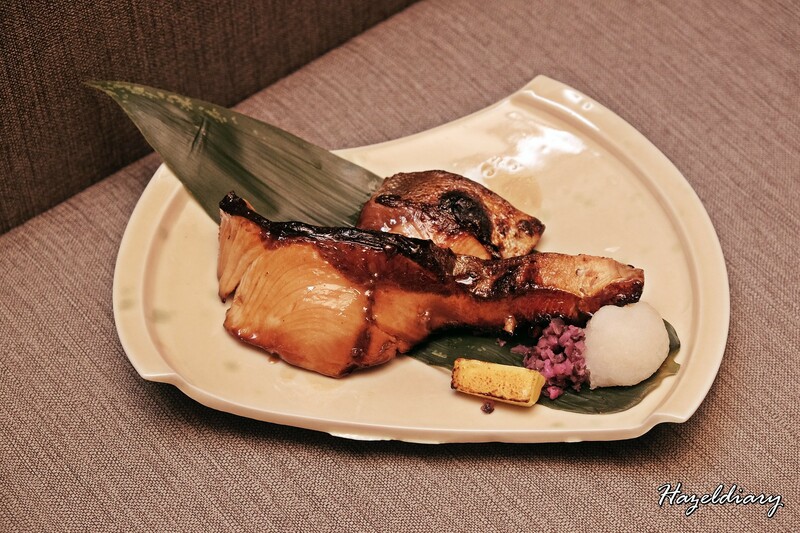 My favourite choices are the Charcoal Grilled Miso Marinated Black Cod and Salmon Belly Set. 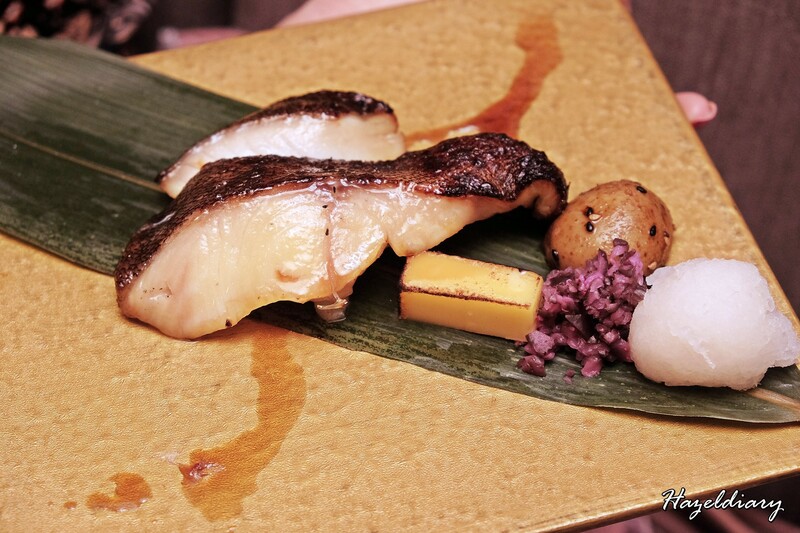 Both well-marinated and for the cod fish, it has tender rich texture and flavour. 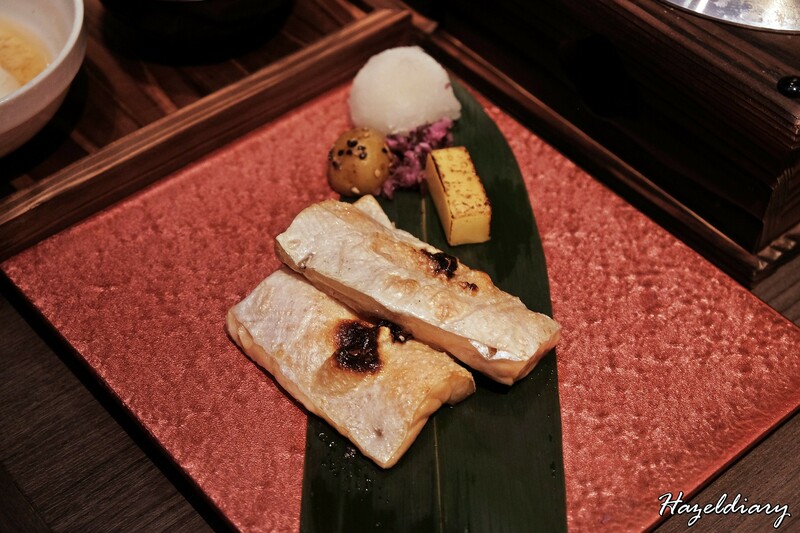 High in omega-3 fats, the fish goes well with miso paste that is sweet, savoury and tint of saltiness. As for the salmon belly, the flesh tasted fatty, rich and full of flavour. The Charcoal Grilled Homemade Fish Cake was rather interesting. 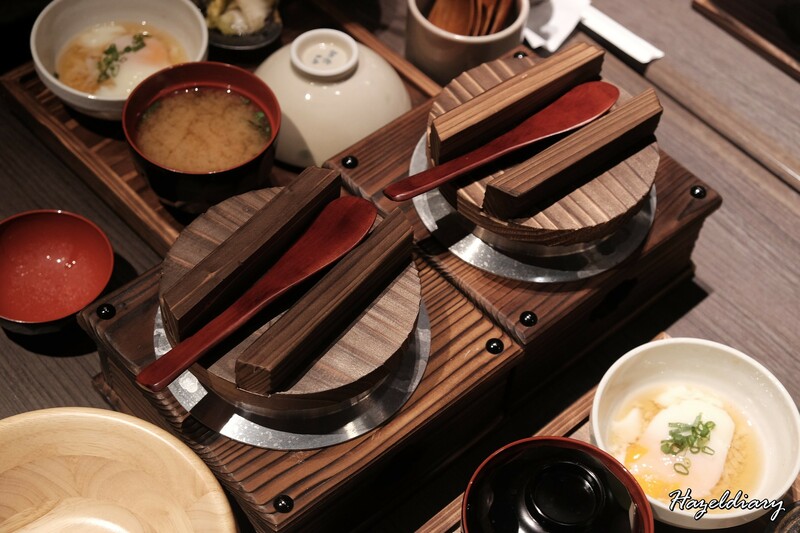 It is prepared in the Southern Japanese style. This reminds me of a Korean street fish cake snack food with soft and fluffy texture. The ingredients used include kernels of corn and chopped up pieces of edamame in it. I would recommend trying this. Mark your calendar and set meal date with your friends or love ones soon! Oh ya.. this new restaurant has only 33 seater and no reservation is allowed.